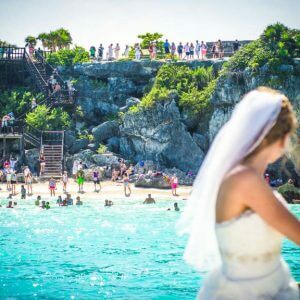 As you come to Playa del Carmen and Riviera Maya to celebrate your wedding, you will find useful this Playa del Carmen Wedding Planners Directory. 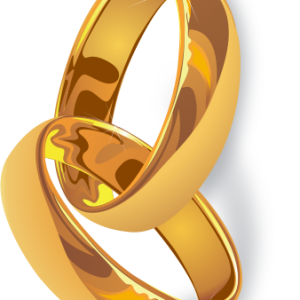 Since you will want to leave the planning and wedding organization to a professional. One who knows the area, who is connected with contacts that will facilitate the process and event for all of you special needs. We do want to congratulate you on this special day and wish you a great life together since getting marry suppose to be one time only. Playa del Carmen, an amazing wedding destination to make an everlasting memorable experience and breathtaking sites for a lifetime of memories and photographs to remember always this magical event! To assist you in the process we have put together a list of outstanding wedding planners in the area to assist you and guide you to this complicated process from symbolic weddings to legal weddings, from ceremonies at hotels, beach clubs, to catamarans and private yachts. 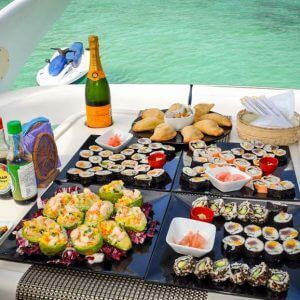 Working together with Playayachting as a great luxury yacht and catamaran provider complete this great experience! Have a Mayan Wedding at a Cenote – they are underground rivers that form caves alot of the times and the mayans called them the passage to the underworld. 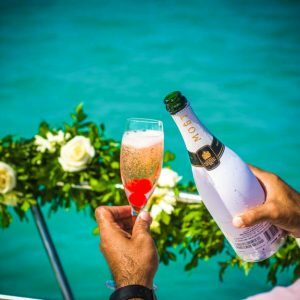 Be more adventures and celebrate your wedding, cocktail party and or ceremony on a yacht or catamaran. The adventur of getting marry on the ocean with turquose color waters, white sands and green jungle views.